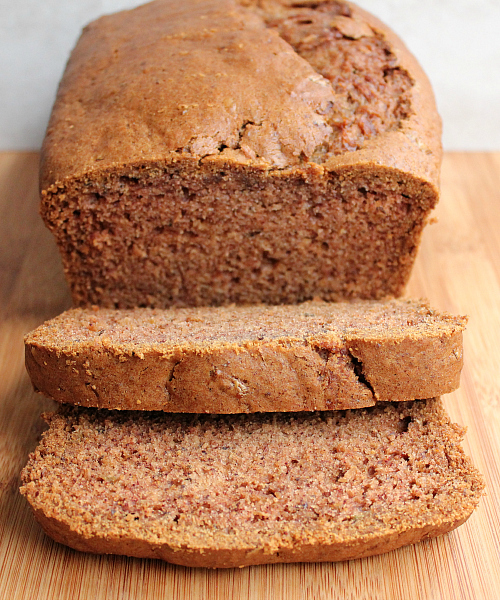 if you tasted this zucchini bread and didn't know that it was vegan, you would never believe me when i told you that it was. we got a ton of zucchini from the farmer's market and we needed to use it up. so, we made three (yes three!) 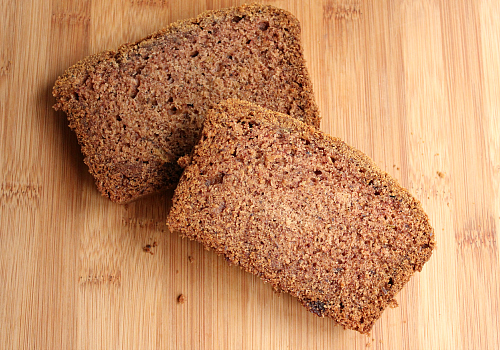 loaves of zucchini bread. we kept some for ourselves, shared some with my parents, and took some into work. our co-workers loved it and could not believe that it was vegan. 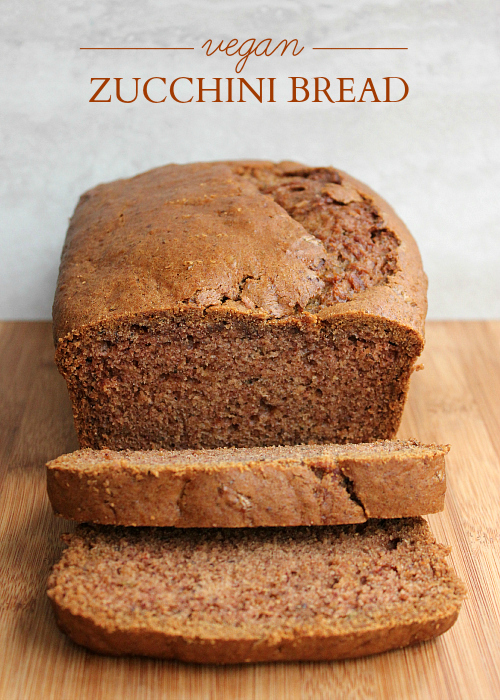 this might just be the best zucchini bread i've ever had! 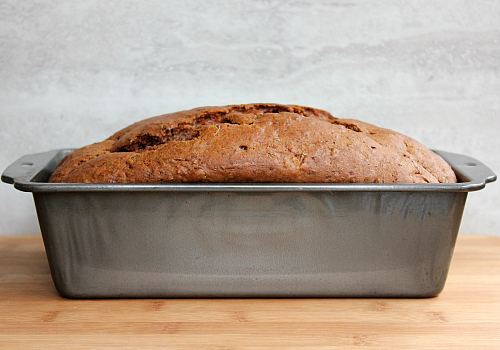 preheat your oven to 350 degrees F. grease the sides of a loaf pan and line the pan with parchment paper. set aside. in a large bowl, sift together the flour, baking soda, baking powder, and spices. set aside. in a measuring cup, mix together the milk and the vinegar (to make buttermilk). in the bowl of an electric mixer fitted with a whisk attachment, whisk together the milk, flax seed meal, vegetable oil, vanilla, and sugars. whisk thoroughly to combine. mix in the shredded zucchini. gradually add the sifted dry ingredients into the wet ingredients. whisk together until all of the flour is thoroughly incorporated into the batter. pour the batter into the prepared pan and bake for 1 hour, or until a skewer inserted into the loaf comes out clean. once baked, allow the bread to cool in the pan for 20 minutes before removing the bread from the pan and transferring it to a wire rack to finish cooling. Looks good. I think this is the recipe we tasted. It was good. Flax seeds are extremely healthy.